Ahh yes Counter-Strike, quite arguably the most competitive FPS ever. 1.6 that is, not Source. Source was often said to be not as "competitive" as the original due to a long list of reasons. From what I understand, Source was built to bring in a different physics engine and a visual set that made CS much more "realistic". Now that was all good and well, but once people started playing the game they realized that a lot of things about Source made the experience very different than 1.6. Grenade physics, weapon recoil, etc. all played a role in breaking the community into two sides, each vouching for their own game. I tried to get into 1.6 a while ago, but I wasn't able to play for long. I didn't exactly know where to go, how to play properly, or where to look for help. All those factors were reasons that made me just give up on playing the game. But Counter-Strike: Global Offensive is finally out, and with it Valve is hoping to bring everyone into this game rather than having the CS community being split into two. So I picked up the game yesterday, and I have been playing it for a couple of hour so far. This blog is by no means a competitive analysis of the game because, well, I don't know that much about CS or FPSs for that matter. What this blog is however, is me talking about my impressions of the game so far based on a couple hours of playtime. - The UI has received a major overhaul which I love. This change makes navigating menus easier and picking out your weapons through the buy screen more intuitive by using the weapon wheel. It's clear that they tried their best to make this thing easy to understand so that newbies don't get overwhelmed by how different this game is to something like Battlefield or COD. - Matchmaking to me is a blessing. Its quick, easy to jump in, and offers plenty of options to choose from. I don't have to find a good server to play on because the game does it all for me. For casual players this is going to be a huge draw as they can now just boot the game up and get in right away. 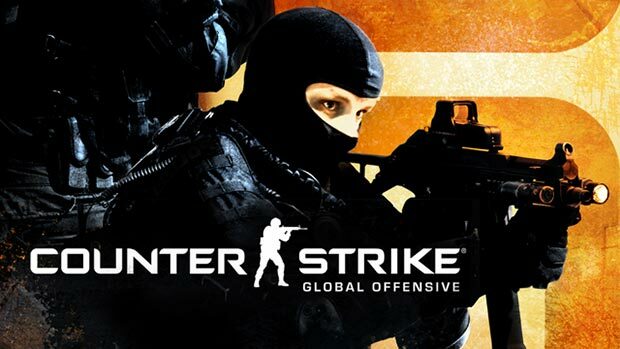 - The addition of new weapons and whatnot in CS:GO ,such as the Molotov, is pretty interesting. All of a sudden territory control got another layer of depth added to it and while I don't exactly know how this will turn out in the competitive scene, it will definitely make the game a lot more dynamic. - Having your own profile to keep track of your stats and whatnot is pretty nifty. It's nothing revolutionary, but for people like me who are completely new to CS it makes a lot of things about the game much easier to understand. I'm really liking the game so far. I obviously won't be able to judge how competitive it is, but what I can say is that it's really damn fun to play. On a side note, I have a Youtube channel where I talk about Video Game related stuff. Feel free to check it out, subscribe if you like it because that always helps!